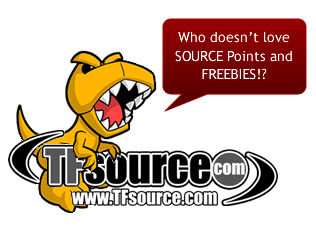 TFsource 6-2 Weekly SourceNews! TFC, Fanstoys, Sentinel and More! This week we have some new instock items like TFC Toys – Project Ares – TFC-03 Conabus, TFC Toys – Project Ares – TFC-02 Phlogeus, TFC Toys – Prometheus – Gumball, e-hobby – Transformers Cloud Optimus Prime and Megatron! You’ll want to check out all of our newest preorders like FansToys FT-06 Sever – Early Bird Save $20 – Iron Dibots No.3, Sentinel – Transformers Pen – Optimus Prime, Sentinel – Transformers Pen – Black Convoy, Sentinel Megadrive Megatron, MP-08X Masterpiece King Grimlock – 2nd Production Run, and Unique Toys – War Lord – Full Set of 5 Figures – Loose Figure Set, TFC Toys – Project Ares – TFC-04 Aethon, TFC Toys – Prometheus – Warning Line, ToyWorld – TW-01B – Hegemon – 2nd Edition, MMC R-01D Shadow Emissary and we’ve listed all of the Transformers Age of Extinction – Movie Advanced – Japanese Figures! The TFsource 3rd Annual Spring Cleaning Sale continues with over 200 items up to 75% off. Lots of great deals, deeper discounts taken on many existing sale items! Be sure to visit the Source Blog for our latest Source Articles, Reviews and Interviews! Visit our sister site theToySource.com for non-transformers collectibles! All this and more in this week’s SourceNews! 1. New preorder up – FansToys FT-06 Sever! 2. Now Instock – TFC Toys Conabus, Gumball and Phlogeus! 3. Now Instock – e-hobby – Transformers Cloud Optimus Prime and Megatron! 4. MP-08X Masterpiece King Grimlock – 2nd Production Run Preorder Up! 5. Transformers Age of Extinction – Movie Advanced – Japanese Figures – preorders up! 6. New preorder up – Sentinel Megadrive Megatron! 7. 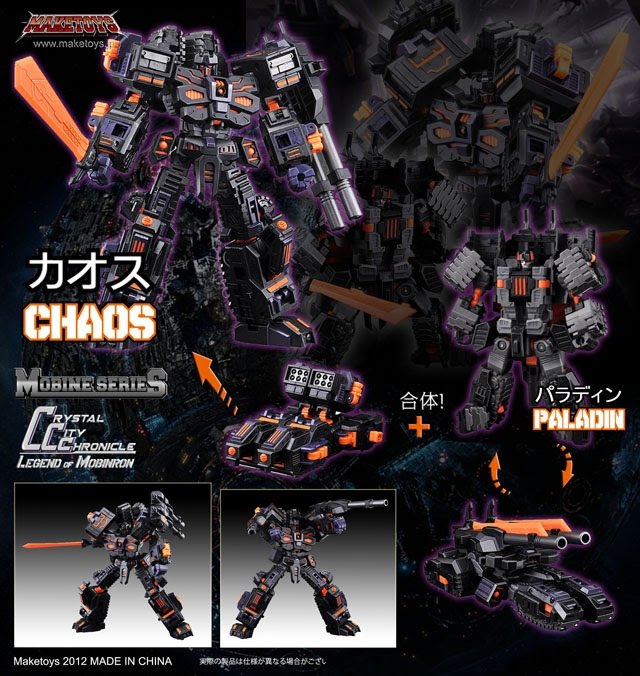 TW-01B Hegemon 2nd Edition Preorder Update! 8. Unique Toys – New Instock and Restocked Items! 9. Now Up For Preorder – R-01D Shadow Emissary! 10. Make Toys Green Giant Restocked! 12. 3rd Party Customs Update! 13. TFsource 3rd Annual Spring Cleaning Sale! Now Instock – e-hobby – Transformers Cloud Optimus Prime and Megatron! Orders yours today! This listing includes the exclusive collector’s coin as well as the Battle Mask add-on. If you have already preordered the regular version and want to upgrade please email: [email protected] or if you have stacked your bumblebee simply add the mask version to your stack and cancel the regular version! Note: We have a limited supply of this version with battle mask, we will try to accommodate all requests but while supplies last. TFsource – Your Source for Transformers Age of Extinction – Movie Advanced – Japanese Figures! 6. New preorder up – Sentinel Optimus Prime and Black Convoy Transformers Pens and Megadrive Megatron! Now up for preorder – Firefair – King of Fire Add-on Kit! Includes flame sword add-on, flaming crown, flame dagger and two flaming fists! Bring the heat to your MP Grimlock figure today (sold separately). Preorder yours from TFSource today! The TFsource 3rd Annual Spring Cleaning Sale continues with over 200 items up to 75% off, plus we’ve added a whole slew of new FREEBIES for those with Source Points burning a hole in your account. Lots of great deals, deeper discounts taken on many existing sale items, and already many customers are jumping on the sale so don’t delay! TFsource 3rd Annual Spring Cleaning Sale! Our featured items this week are Transformers Go Figures at some greatly reduced prices! Transformers Go – G02 – Jinbu Samurai – Jet – Was 44.95 – Now Only $35.00! Transformers Go – G03 – Ganou Samurai – Fire Truck – Was 44.95 – Now Only $35.00! Transformers Go – G01 – Kenzan Samurai – Police Car – Was 64.95 – Now Only $50.00! Transformers Go – G09 – Goradora Set – Was 44.95 – Now Only $35.00! theToySource – Your Source for Kotobukiya Statues! New Hiya Toys Our War – Figure Sets up! Order a full set of either WWII or Air Assault – instock now! theToySource – Your Source for Funko Game of Thrones Figures! theToySource – Your Source for Lost Planet Figures and Vehicles by Toy Notch! NEW SOURCE REVIEW! G-07 Punishment Add-on Kit!